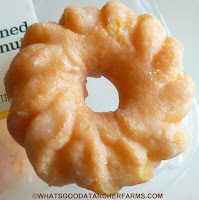 I've had crullers in the past, but I never really looked into their history before now. Wikipedia states that they've been eaten in New England since the time the Pilgrims lived there. 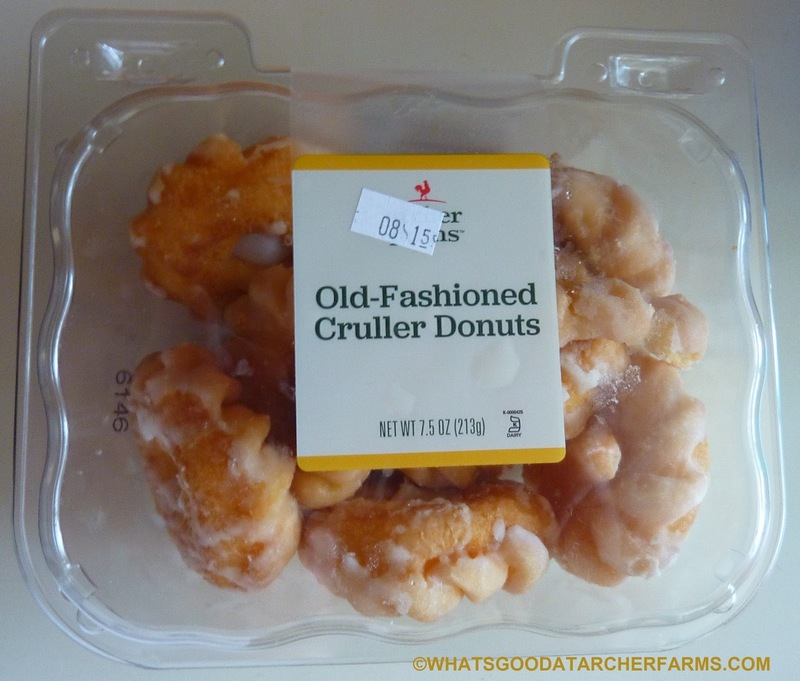 Although, perusing the photos on that page, this Archer Farms offering seems to most greatly approximate the "French cruller," as have all of the previous incarnations of crullers that I've tried. In fact, I think most of those former specimens were actually labeled as "French crullers." Why Target doesn't directly credit our amis les Français in this case, I can't say. Aside from the obvious braided look about them, there doesn't seem to be a substantial difference between these and traditional glazed donuts. They're slightly less puffy, and thus, seem a little more dense than other common donut selections. 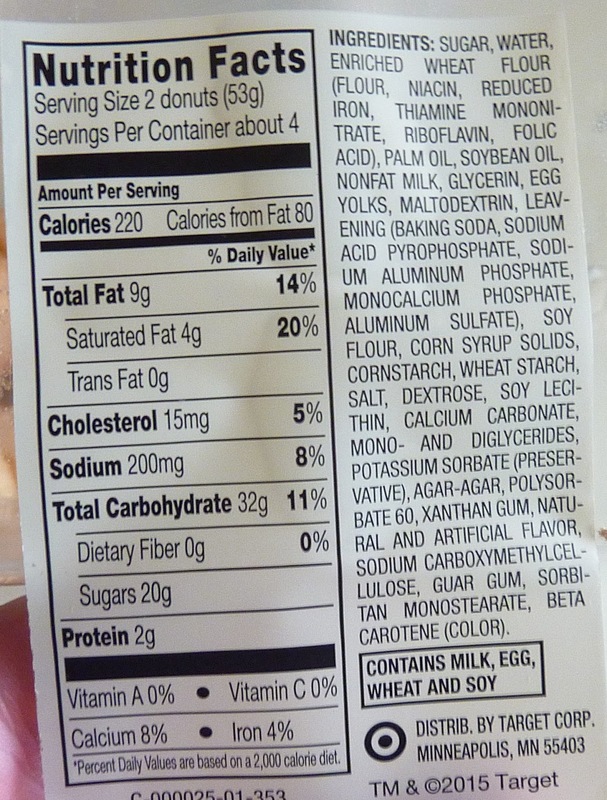 They've got a lovely, sweet flavor, with perhaps just a tad more sugary glaze as I would have preferred. There's also a nice taste to the dough, and I think a little less sugar on the outside might have brought that flavor out more. But all in all, they're very good, flavor-wise. 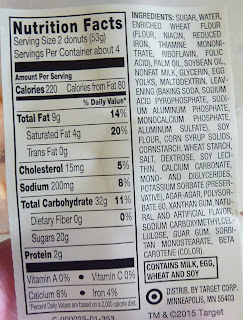 As far as the texture, they're a little stiff on the outside and softer on the inside. I think they're supposed to be that way, but that's just a layman's guess. I'm certainly no pastry aficionado. When I hear the word "cruller," I can't help but think of that awful 80's sci-fi movie Krull, featuring a young Liam Neeson. Wouldn't the inhabitants of the planet be called Krullers? Even the swirly throwing-star type weapon on the cover art seems to echo the twisted braided look of the cruller donut. I'll take "Science Fiction Films Inspired by Pastries" for $1000, Alex.